turkeyshrp, originally uploaded by jahansell. This is a bit of a cheat - I took the photo at the Millbrook Zoo. Wild Turkeys are very hard to photograph - you see them often out in the fields, but they don't let you come close. Until I get a nice long lens, the best I can do is show you a captive bird! Its a great picture! It's only a cheat if you tell people about how you shot it. This guy has long legs. 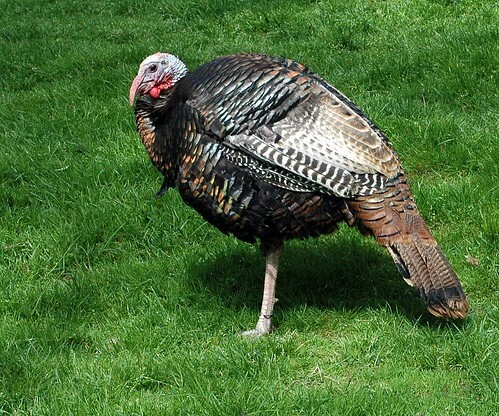 I never noticed that turkeys had long legs before.